Have you ever heard the term “functional fitness” and wondered what it was? Functional fitness training involves exercises that train your muscles to work together; preparing them for daily tasks by imitating the common movements you would perform at home, work, or in sports. Utilizing both upper and lower body muscles at the same time, functional fitness exercises emphasize core stability. Through functional fitness training, your muscles are trained to help improve your performance in everyday situations. 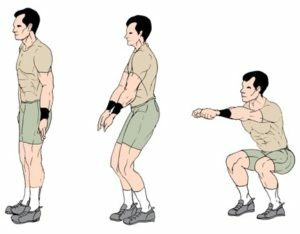 A few examples of function fitness exercises are the burpee, squat, and Turkish get-up. These exercises can be done at home or at the gym.